Chocolate covered coffee beans with pieces of dark chocolate and coffee beans. 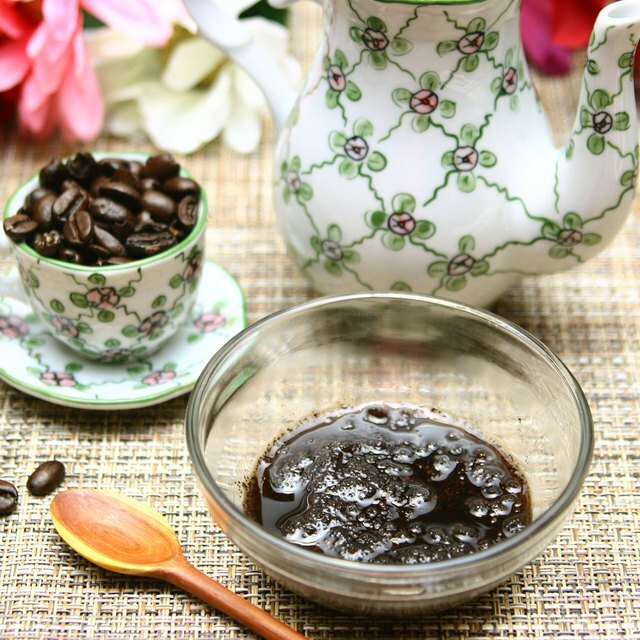 4 What Are the Benefits of Coffee for Skin Care? A few dark chocolate covered coffee beans are not high in calories, but calories can quickly add up if you eat too many. They're also high in fat and sugar. A 10-bean serving of chocolate covered espresso coffee beans has 86 calories, according to the FatSecret website. It contains 4.4 g of fat, 2.1 g of which are saturated. It contains 1.2 g of protein and 10.5 g of carbohydrate, 8.5 g of which are sugars. Dark chocolate contains antioxidant flavonoids called flavanols, which include procyanidins, epicatechins and catechins. Antioxidants protect the body from environmental contaminants. Flavanols may lower blood pressure and improve cholesterol, according to the Cleveland Clinic. 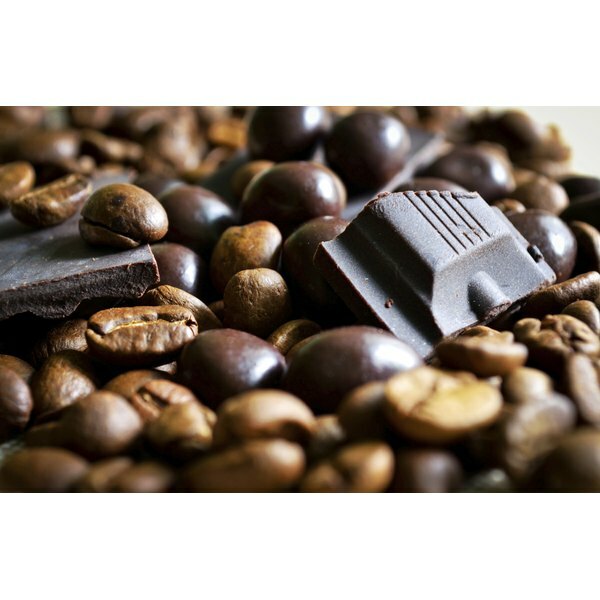 A serving of three chocolate-covered espresso beans contains 36 mg of caffeine, according to the British Columbia Community Nutritionists Council. Too much caffeine can make you restless, anxious and irritable, and even cause abnormal heart rhythms. Limit your caffeine intake to 200 to 300 mg per day.